Our PR initiatives don’t stop at local news outlets; we are experienced working with national publications, too. 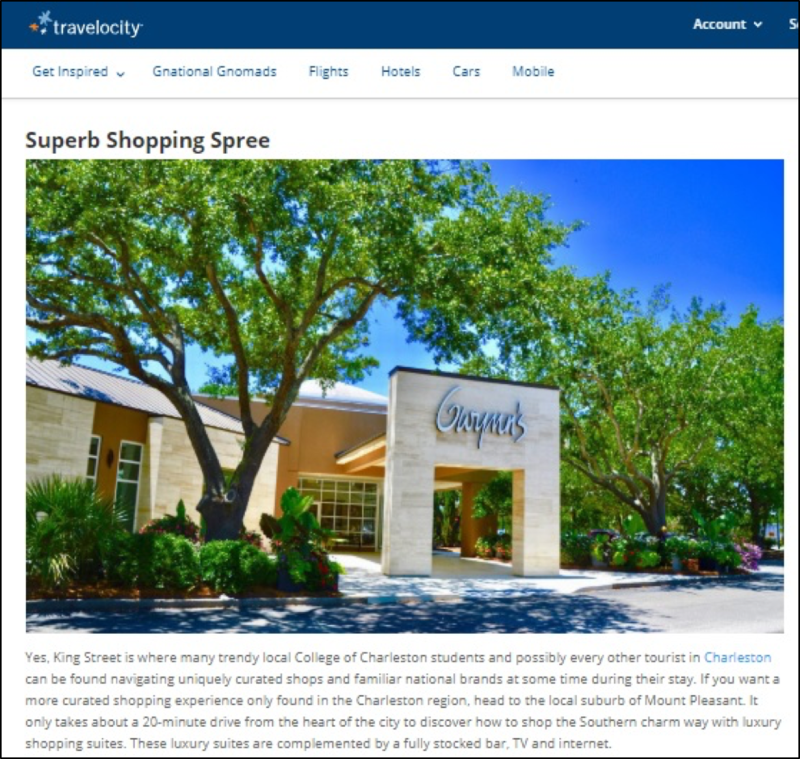 Last year, Gwynn’s of Mount Pleasant made Travelocity’s list of necessities for a Southern Charm Charleston Getaway. We were honored to help facilitate this connection between the national online publication and our favorite luxury department store.